The FREE system mid-weight layer consists of a shirt and drawers. The shirt and drawers are constructed with a quick-drying, high loft Polartec thermal FR fleece made with DuPont Nomex fiber for optimal warmth and breathability without weight. 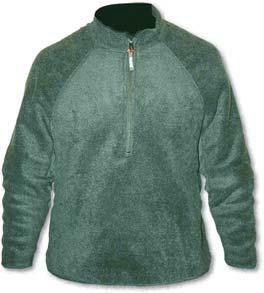 This fleece layer provides maximum comfort when worn over base layers and underneath the uniform. The shirt and drawers are available in tan or foliage green.